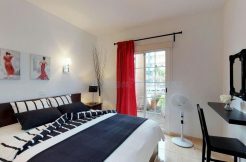 The domains www.tenerifehomesproperty.com is registered under the ownership of the website Tenerife Homes and Property. These terms and conditions, as may be amended from time to time, apply to all our services directly or indirectly (through distributors & partners) made available online, through any mobile device, by email or by telephone. By accessing, browsing and using the Tenerife Homes and Property website through whatever platform (hereafter collectively referred to as the “website”), you acknowledge and agree to have read, understood and agreed to the terms and conditions set out below (including the privacy statement). Through the website, we (Tenerife Homes and Property) provide an online platform through which all types of real estate (for example Villas, Townhouses, Apartments, Land, Commercial Property), can advertise for sale, and through which visitors to our website can make such enquiries. Tenerife Homes and Property and its offices will not commit to answer to all the requests of information, but according to its capacity will endeavor to provide the appropriate answers. The copyright in this website and its content belong to Tenerife Homes and Property. The copyright and all other intellectual property rights in this Site (including all database rights, trade marks, service marks, trading names, text, graphics, code, files and links) belong to us or our licensor(s). All rights are reserved. This website contains links to third party websites over which Tenerife Homes and Property has no control. We assume no responsibility for the content of third party websites or for any losses which may arise out of use of a third party website. The presence of a link to a third party does not necessarily mean that Tenerife Homes and Property endorses that site or has or has not any association with the proprietor of that website.